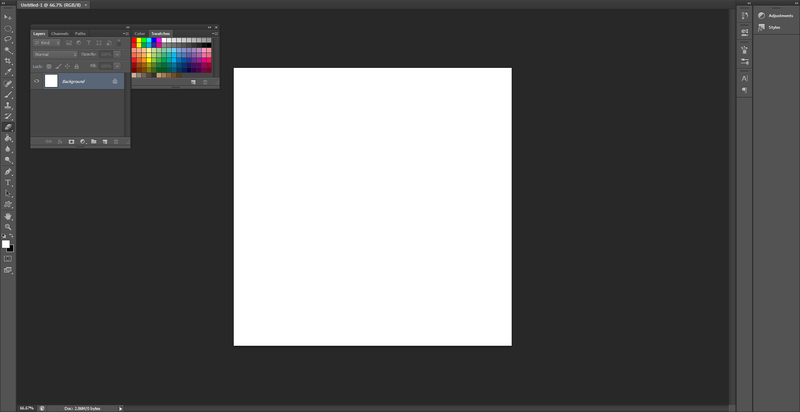 Okay, so we start with a 1000 x 1000 blank image. 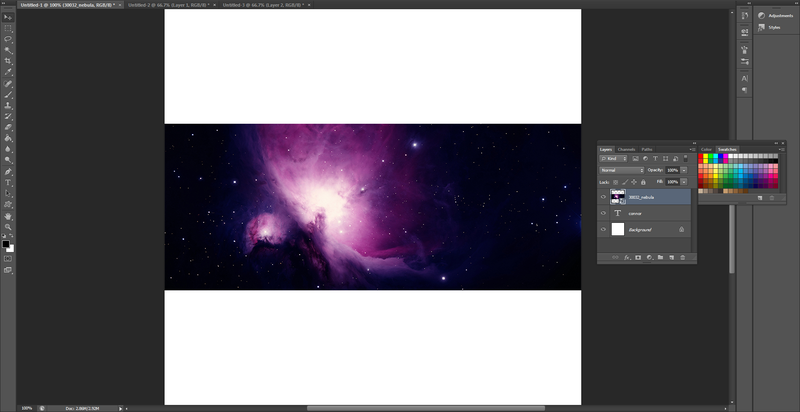 This gives us enough space to write out name and a better resize for our image (if it's huge). Okay, now lets write our name. 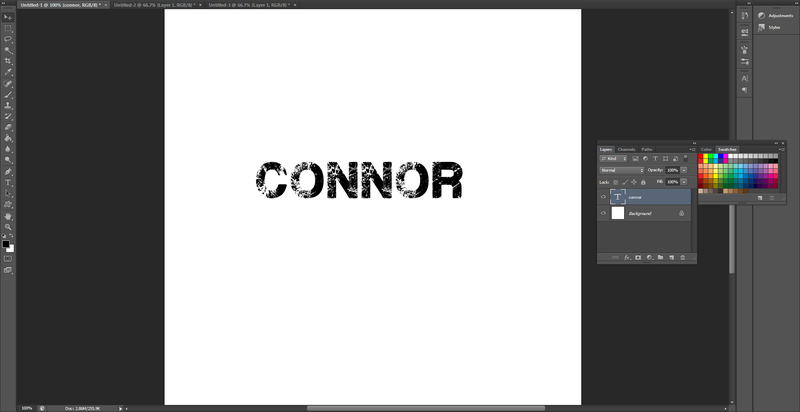 Select the text tool and write your name in an awesome looking, eroded-type font. You can find lots of fonts like that here: Fancy > Eroded fonts | dafont.com. The font I'm using is called "Plane Crash" and can be downloaded here: Plane Crash Font | dafont.com. Now this part is all about you and the image you like. I use a site called: Space wallpaper - Free space wallpaper, backgrounds and computer desktops, and this has lots of useful images of outer-space which can be used in your signature. I'm using a purple nebulae: http://www.imgbase.info/images/safe-...032_nebula.jpg. 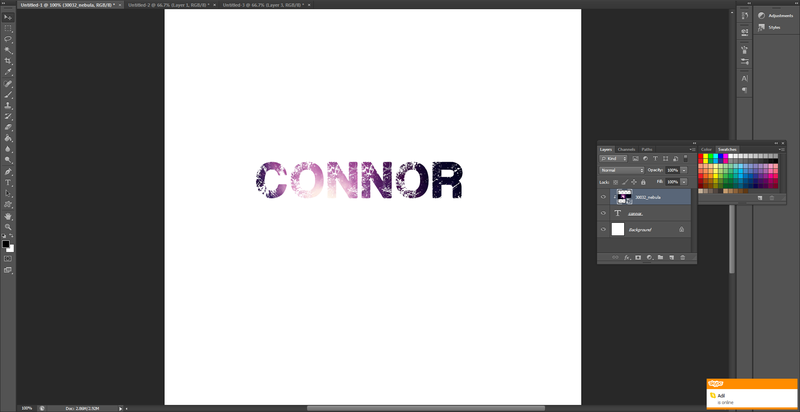 Once you have an image place it into your Photoshop document so it fits all over the text. Once it's fitted over your text, hold ALT and click in-between the image layer and the text-layer and your image should snap into the picture.